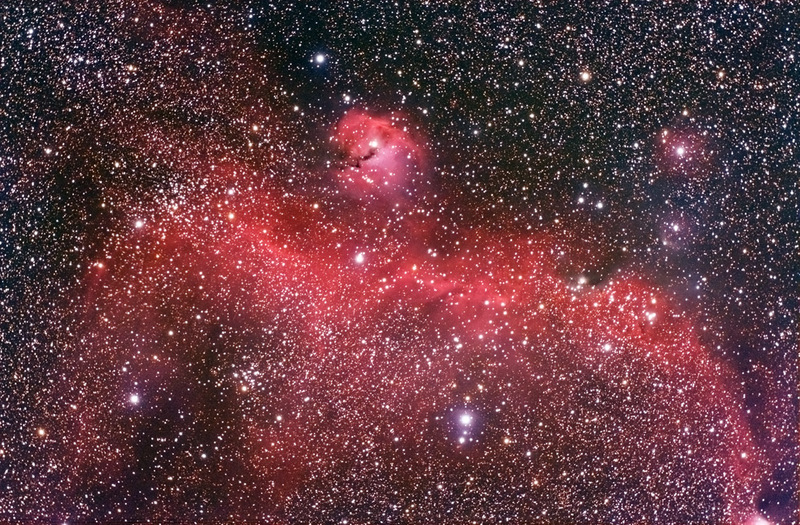 Also sometimes referred to as the Seagull Nebula. Taken at WSP 2009 under very windy (and cloudy) conditions. This image was a collaboration between Steve Davis and Frank Barrett. Steve provided the scope and color data via his Canon DSLR. Frank provided the luminance via the SBIG STL-11000M. Both contributed to the image processing. The luminance frame can be seen here.